Katie is a single mom, trying to raise her two young teens on the farm she inherited when her parents died in a tragic accident. Abandoned by their father, she's doing the best she can, but often feels like the weight of the world is going to crush her completely. 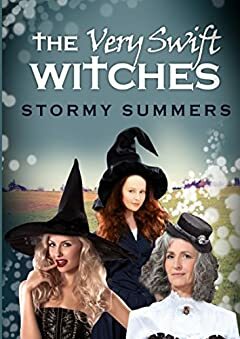 But then something magical happens, when three 17th century witches (Emma, 64 and stern; Mary, a natural-born blonde Cougar of 48; and Annalee, their 15-year-old apprentice) appear and bring Magic and Romance and Adventure into her life. And when a deadly crisis comes to town, it's up to the Very Swift Witches to save the day... and, quite possibly, the world!